According to a survey made by Gartner, it seems that phishing still exists heavily, and unfortunately, some people still fall for it. Replace the “some people” with 3.6 million, and that is the number of persons that got literally phished this year. 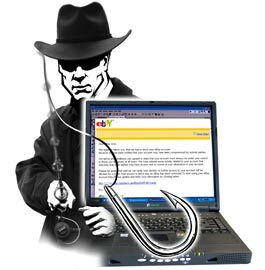 Interestingly enough, the most spoofed sites were 2 of the biggest money related makers in the web – eBay and PayPal. In case you didn’t know, spoofing is the act of creating a site (or email) with the intention of misleading readers that the website has been created by a different person or organisation – wiki. I thought that at this time there weren’t many people falling for the phishers, but 3.6 million is truly a high number. Really, it is so easy, and evident, to check if an email/website is spoofed, that even monkeys can probably do it right. As some Nigerians might say: “419 for the rescue” – if you don’t understand this part, check this wiki article. In some countries, driving and using the cellphone at the same time is just a matter of paying a fine, and going home. But the British drivers can be looking at a different scenario, and instead of going home, the jail is the actual destination. Besides an unlimited fine, the drivers can also get a maximum sentence of 2 years, but this only happens in the most dangerous cases. As you can imagine, the solution is to use hands-free systems, that are still legal. Drivers are four times more likely to crash if they are holding a mobile or sending a text while at the wheel, the Department for Transport says. Sources – Reuters and /. Disposable Soles Concept = Gross!